The first five Kestrel Railway Books volumes by David Larkin looked at the revenue-earning wagon fleet operated by British Railways and its successor, British Rail. 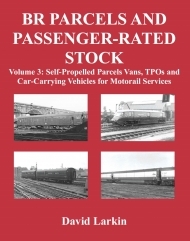 These were followed by a series of three books looking at the specially-designed wagons that were used for track maintenance, and now we see the last of three volumes covering parcels and passenger-rated stock. All parcels trains required a vehicle in which the guard travelled, and there was usually space for a parcels-related load as well. 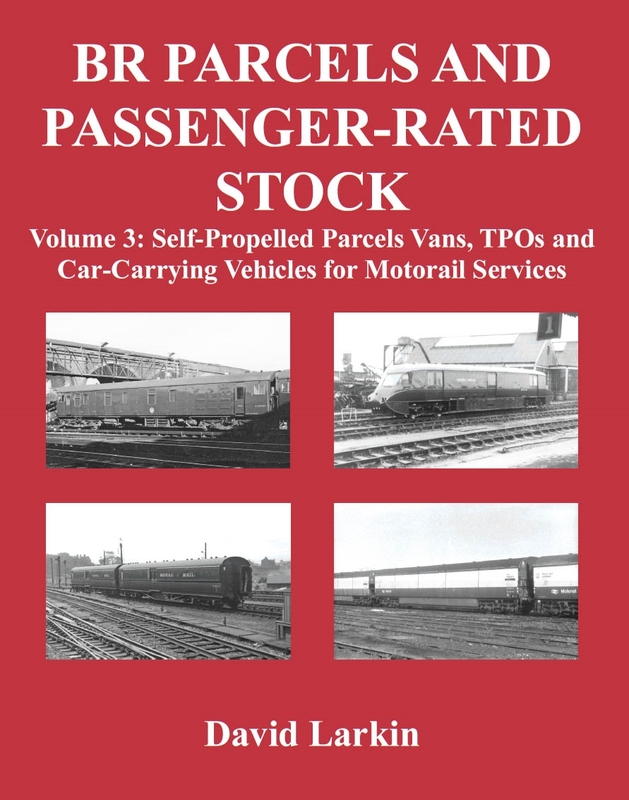 This volume looks at the self-propelled parcels vans, travelling Post Offices (TPOs) and the various car-carrying vehicles that were used on Motorail services. Volume 1 covers full brakes, parcels & miscellaneous vans and car-carrying vehicles. Volume 2 covers horse boxes, special cattle vans and vehicles for fish, fruit & milk traffic.